Left on 07/27/2014 for a stay in May 2014Sehr gutes und sauberes Ferienapartment. Einer der schönsten Strände Europas (Teulada – Top 25 bei Tripadvisor) mit dem Auto in 10 Minuten zu erreichen. Stefano ist ein sehr netter und hilfsbereiter Gastgeber, zum Beispiel standen bei späten Anreise Wein und Wasser im Kühlschrank. Jeder der ein ruhiges und sauberes Apartment sucht, ist bei Stefano bestens aufgehoben. Left on 06/13/2014 for a stay in May 2014Wir haben im Mai 2014 mit unseren beiden kleinen Kindern eine Rundreise auf Sardinien gemacht. Von den 5 Unterkünften, die wir auf unserer Reise bezogen haben, haben wir uns in dem Haus von Stefano am wohlsten gefühlt. Sehr freundlich, besonders gegenüber Kindern, gut ausgestattet und super sauber und ordentlich. Der Meerblick von der oberen Terrasse ist toll, aber man muss wissen, dass man zu Fuss zum Strand nicht laufen kann. Die 8km entfernten Strände in Chia sind einfach der Hammer. Wir hatten eine tolle Zeit dort. Left on 10/12/2013 for a stay in October 2013If you come with the right expectations, you will spend a perfect time here. The location is about 1 km inland from the beach and a car is necessary to get around, but within 10 min drive there are beautiful beaches and excellent restaurants. The house is simple and some of the furniture a bit worn off, but it provides everything you need and is set in a very tranquil spot within the typical macchia vegetation of the area. The owner Stefano is an extremely kind person who will help you where he can. We were there with a toddler and he provided a cot with linen and blanket and a high chair as well as a bucket full of toys for beach and home. Left on 10/03/2013 for a stay in September 2013We had wonderful holidays in Sardinia and we are looking forward to visit it again next year. The sea and specially the view to the sea were great. The house was wonderful and very good equipped. Left on 01/23/2013 for a stay in August 2012Stefano is a lovely man always keen to help and make your stay as pleasant as possible. The house is fresh, clean and functional. The location is great as from there you can easily reach many different beaches. This will be our 10th summer in Sardegna. It says it all!!! Left on 01/10/2013 for a stay in September 2012Best place ever! Steffano, the owner is such a nice owner. We had three terrace, even a outside barbecueplace. We bought vegetables, fish and fruits on our way to the beach and prepared wonderful dishes on the outside barbecue. The beaches are very near. We have rent a car in Cagliari and I would propose to do that. We will come back next year- I love it there! Left on 08/20/2012 for a stay in August 2012We stayed here for two weeks and had an amazing time. The house is basic but had all we needed for our stay. The owner,Steffano, lives below and made us feel incredibly welcome. He had the answers to all our questions and was even good enough to take us to one of the many beautiful beaches nearby. A car is a must, as although it was possible to walk to a beach, it was far too hot in august to even consider this! We spent our last day on a sailing boat trip with a company called Havana Vela, and can highly recommend this too. Sardinia is beautiful. Left on 01/12/2012 for a stay in July 2011Very nice spot and Lovely owners ! It’s the place to spend holidays ! I’m going there every year and love it more and more ! Left on 12/18/2011 for a stay in June 2010Io ci sono stata nel giugno dell’anno 2010, ho speso poco e sono stata benissimo. La villetta è spaziosa, pulita e funzionale. L’arredamento è un pò spartano ma trattandosi di una villetta al mare va più che bene. La mia esperienza è stata molto positiva; tra le altre cose va segnalato che il proprietario è una persona molto simpatica e che dà un supporto valido quando se ne ha bisogno. Ho fatto un’escursione semplicemente fantastica: abbiamo noleggiato le biciclette e siamo arrivati nella spiaggia dove c’erano i kayak; da lì con i kayak abbiamo percorso un bel tratto di costa dove abbiamo potuto ammirare delle calette deliziose e fatto un bagno nell’acqua cristallina di una spiaggia deserta. Left on 12/15/2011 for a stay in August 2009We really enjoyed our experience in Sardinia and would recommend it to anyone! Left on 12/13/2011 for a stay in June 2010We had a lovely holiday and Stefano’s place was just lovely. We had a gorgeous balcony and it was perfect for nice relaxing evenings. The beach, a few kilometers away was just stunning. Sardinia is beautiful and we did quite a lot of exploring. A car is a must. Left on 12/13/2011 for a stay in August 2011Magnificent landscapes, dream beaches, very nice welcome, assured rest, total happiness! in the next year! Left on 12/13/2011 for a stay in August 2009Beautiful location, excellent accommodation, and Stefano is really very friendly, helpful and hospitable. He offered us various excursions, including one on the sea at night, on canoe, along the coast. Thank you, Stefano and Valentina, for giving us such a great holiday!!! 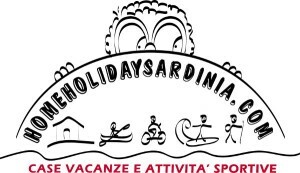 Sardinia, Chia Tuerredda, santa Margherita di Pula, Nora; Teulada and all Sardinia south coast. Villetta indipendente – tipologia tri famigliare – disposta su due livelli- noleggio Bici MTB FAT Bike e MTB biammortizzata e monoammortizzata , noleggio Sea Kayak, campo da beach tennis per uso gratuito solo per i nostri ospiti. Villetta Immersa nella macchia mediterranea di Santa Margherita di Pula tra corbezzoli e mirto per almeno 15000 mq di terreno, a pochi metri dalle più belle località balneari della costa sud-occidentale della Sardegna, a 1km dalle calette del Pinus Village, a 3,5 km dal Forte Village Resort ed a soli 4 Km dalle spiagge di Chia. La villetta di 90 mq dispone di 3 ampie terrazze con barbecue e vista mare, ottime per cene all’aperto. Il giardino è curato dal proprietario che, presente sul posto 7 giorni su 7, è in grado di poter dare un servizio di informazione ed assistenza continua oltre che organizzare, per chi lo volesse, attività sportive di vario genere. Attenzione! Giardino molto grande ma in comune con altre due villette. Per gli amanti del Beach tennis c’è la possibilità di usare il campo di Su Giudeu a Chia riservato ai soci e ai soli ospiti di questa struttura.